Cart abandonment is when a customer fills up their shopping cart online but for whatever reason, chooses not to follow through with the payment and ‘abandons’ it. The global average statistics for cart abandonment rate, for online retailers, was 77.24%. This means that over ¾ of shoppers choose to leave the site without completing a purchase. In an effort to try and capture some of these lost sales, cart abandonment emails are sent to customers who have added products to their cart but failed to check out. The abandoned basket campaign can be a powerful sales recovery tactic and bring back otherwise lost revenue. 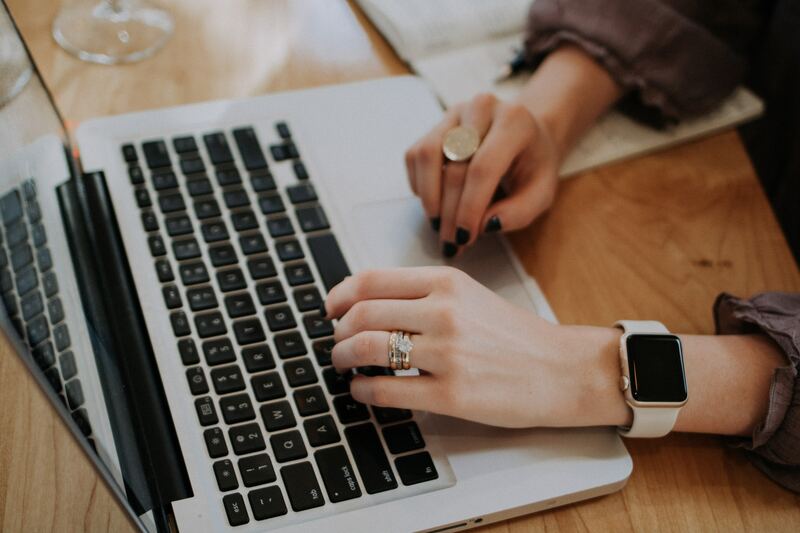 Studies have shown that almost half of all abandoned cart emails are opened and over a third of clicks lead back on to the site to make a purchase. Some cart abandonment on websites is inevitable. There are many users that may just be window shopping or doing a price comparison for items. They may also be saving items for later or exploring gift options. These things can’t be avoided (and a small portion of these people may likely return and purchase later). But aside from those just browsing, cart abandonment examples could occur for a number of other reasons. These include things like shipping issues, for instance they decided to buy in-store instead. Lack of payment options or cost can also be another reason. If your shipping costs are above industry average or you add additional fees that don’t appear until after the checkout process has begun, then people will leave. Also, if you have a coupon or discount code option at checkout, people may leave looking for discount codes. If they don’t find any, they may not return to complete their purchase because they think a sale could happen or a better deal on the item will appear at a later time as they’re not willing to pay full price. To prevent this from happening, consider adding a code somewhere visible on your site or consider adding codes to popular voucher websites. Technical issues are another reason. Sometimes customers may even abandon their carts without meaning to do so. For instance the website crashes - or ever more simply, they had to leave their device to do something and forget to return. Therefore these emails can act as a reminder to come back on to your website. Other reasons people might abandon their carts is because there was not enough product description. If your website doesn’t provide enough details about a product, shoppers will go elsewhere. To prevent people from abandoning your shopping cart, provide them with as much item description as possible. Perhaps even research competitors that are selling similar products to ensure that your website offers everything they do and more. Also, it might be nice to have the option to live chat on your website, about any queries or questions the customer may have. Delivering good customer service will more likely lead to to a sale. Before we get to the ways we can try to bring back lost customers, it's good to look at the ways we can prevent losing them in the first place with these checkout templates to avoid. Firstly, what are the payment options for your site? Not everyone has their credit card handy when impulsively adding items to their cart so make sure you allow for alternative, quick and easy payment options like Paypal. Make all the payment options known to the user before they proceed. 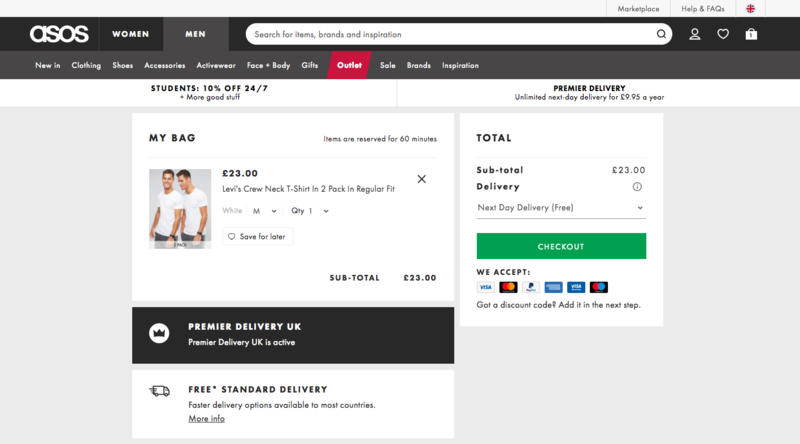 For instance, with ASOS they show the buyer all the methods they take, clearly at the beginning of the checkout option. Another way to improve your checkout flow, it to include a guest checkout option. Many people abandon their carts because the checkout process is too long. While it’s good to get people to sign in or sign up with you, so you have their information on hand, it excludes customers who aren’t willing to create an account as they still want to buy from you. Making your checkout process smooth and easy for everyone to use, will reduce your cart abandonment rate. There are some best practices to follow for cart abandonment emails. To start off, be specific. Depending on when you send your email, people might have forgotten about their cart items. It’s no good just sending a vague email like “you’ve forgotten your items”. What items? So be specific and specify which items are remaining in their cart and it helps if you leave images, this is much more effective. Using visual marketing to show people which items they’ve left makes the email more personal and reminds them of what they’re potentially missing out on. Along with specifying their basket with images, give them an incentive - perhaps make it known in the subject like straight away so they’re aware of the offer before the decide whether to click on your email or not. Offering a special extra 10% or 15% discount offer for your user in their exclusive email to finish their checkout process. It will make them feel valued and their email will feel personalised as it’s not something everyone is getting. One of the reasons people might choose to abandon their cart is the price. 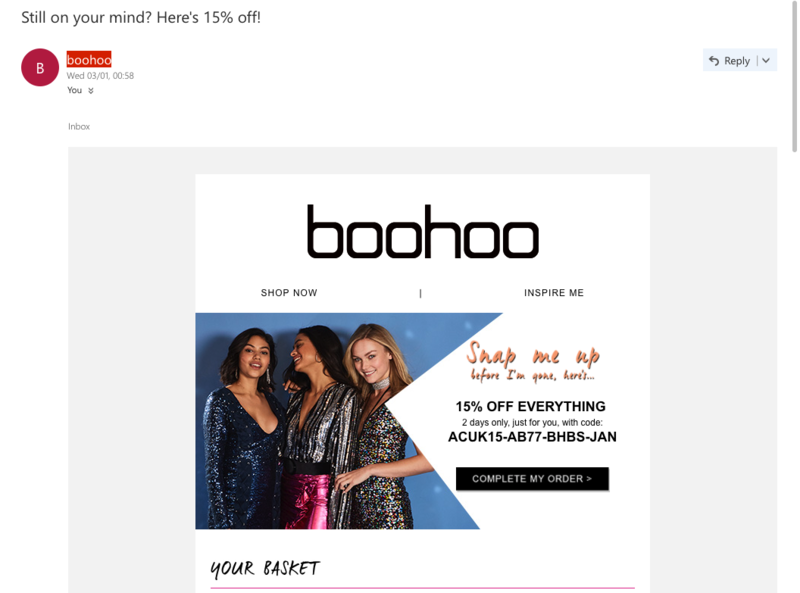 The products may have come to a total more than the customer initially thought so offering a discount in your email could be a nice prompt to complete their purchase. And you don’t have to offer direct item discounts, you could offer other things like free shipping or a free item at the checkout when they complete their purchase. Your email needs to read well on every device - expect that the majority of the email you send will be opened on a mobile device so make sure it’s phone friendly. Also you are asking a customer to click-through the reminder and take action so it’s important that when they click the link they are directed to their abandoned cart, not an empty one. In a recent study conducted in relation to cart abandonment emails, over half of users felt that reminder emails were helpful. And as we saw, customers that are sent cart abandonment emails tend to return to make that purchase. It is worth sending good, personalised emails to customers that do not go on to make a purchase - but within reason. Don’t spam them - You want to send your first recovery email in the first 24 hours of cart abandonment, then leave it to see whether any engagement takes place. Sometimes item abandonment can happen without the customer meaning to and sometimes it happens due to reasons like cost, which can be won by a personal discount code via that email. Either way, you have a good chance to bring customers back on to your website. Finally, sending out these emails also lets the customer know you care about their custom and have paid attention to their items. Being specific - including images of their basket - these are the types of details you need to pay attention to.